Biggest challenges (and solutions) for a mediator. Read this blog for tips. If you have other challenges or solutions, be sure to comment below. We asked mediators about their biggest challenges. This is what they told us. Read our tips to address each of these challenges. 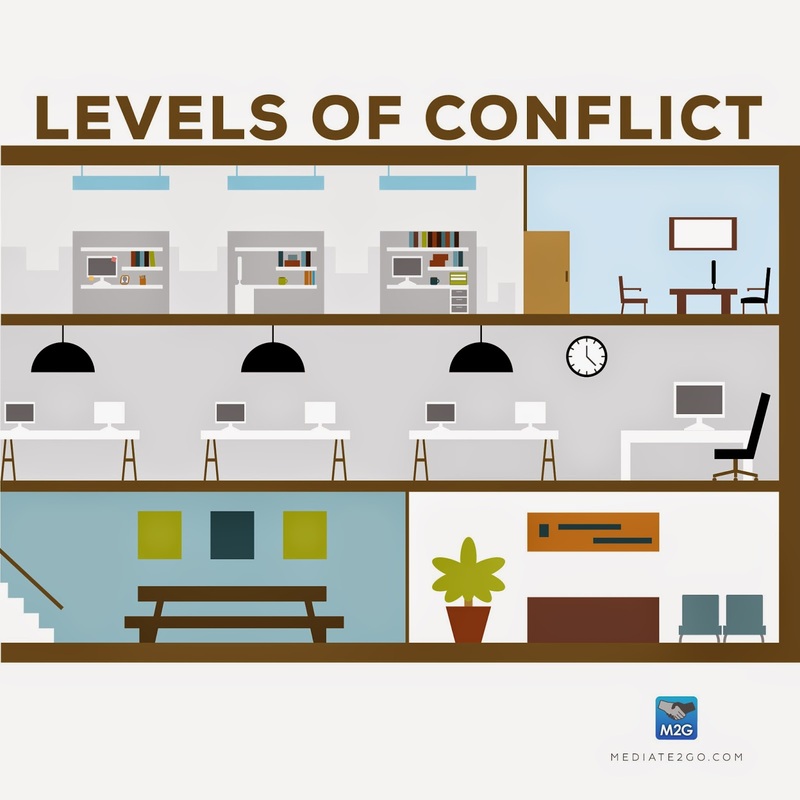 Also, watch this video to address many of these challenges of mediation. It’s not easy, but finding clients takes a multifaceted approach. Try signing up for Mediate to Go web app to promote your mediation services. The plans start at only $9/month, which includes Search Engine Optimization. Remind clients that mediation is voluntary, and that they are completely responsible for resolving the issues, with your help. Even if you need to terminate a process, remind them that they are welcome to come back and try again. Before mediation, try conflict coaching as well, and teaching self-leadership. As we mention in the next section, try building trust with clients. Maybe your client is filled with anger or a desire for revenge. Take time to define trust and build trust with clients. With a good relationship with your client, and also some coaching services, you are more likely to have success with clients not wanting help. It is okay to not have the answer. Leave time for silence in the process. Sometimes you can ask the parties what they think in the moment if you don’t know what to say. It is their process. Also, you can say, you don’t know, if you don’t have the answer, or openly reflect with the clients about something you said, and correct yourself then. With time, you will build your confidence. A major ethical issue in mediation services is how to stay neutral. This will require much more reflection within yourself and with other colleagues, but have a constant running dialogue in your mind of what you feel, and what the client wants, and whether you are too ‘involved’. Ask colleagues for help. Neutrality isn’t as easy as we think, we bring in our humanity and past with us, but the key is caring for the client, and being as open-minded and non-judgmental as possible with their personality and what they want. View this article on neutrality. This relates to neutrality – how to stay energized and invested while letting go of what the end result will be for clients. As mediators, we must care for each of our clients and do our best to ensure the process is fair. At the same time, the client is responsible to make the right decision. While you must ensure the client has the capacity and the resources to do so, you must remind yourself of your role to facilitate the process. Be sure to help the client and ask for advice if need be, to ensure you strike the right balance of investing and letting go. This is a hard one, as mediators must make enough funds to have a viable practice, yet they must also put their client’s needs first. Once you have ensured that the client’s interests are met, money comes into the scenario. We recommend chatting with other mediators that have successful practices, and also people you know with successful businesses on what works for them. They can give you tips. Also read our blogs specific to your mediation services business: how to become a successful mediator, mediation jobs, best business ideas for mediators and sign up for Mediate to Go. Clients need to be aware that mediation is not always the best option. There are benefits to mediation, but sometimes, formal processes like arbitration are better. Share all of these blogs with clients and ensure that the client makes the right decision for themselves. Still, promote mediation in your community and lecture at schools and colleges to promote the field overall. Most mediator’s work on their own. Instead of feeling alone, join one of our partner associations like ACR, SCMA, NYSDRA, ADR Canada or ADFP in order to network and chat with mediators about your most challenging cases and what they would have done. It can take years to build a practice. 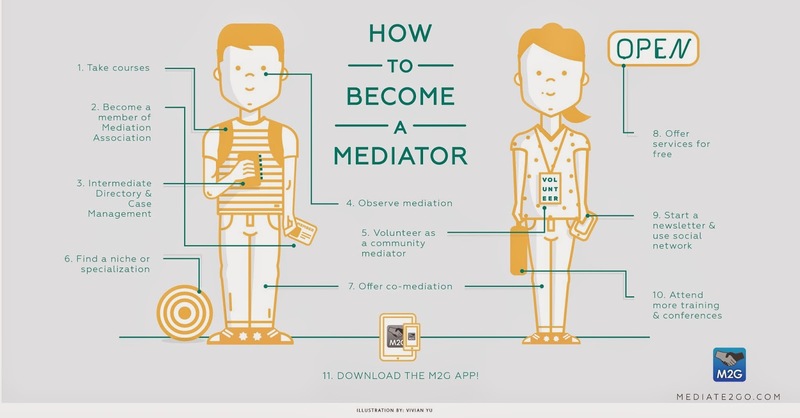 Check out our blog on how to become a mediator. Join us on social media to get updates and recommendations from us.